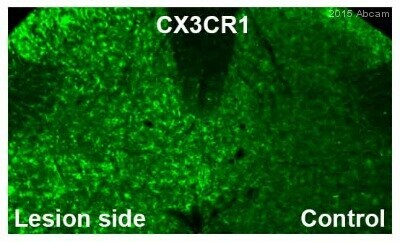 Synthetic peptide corresponding to Human CX3CR1 aa 2-21 (N terminal). Western Blot: Human spleen tissue lysate. 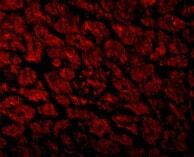 ICC/IF: Human and mouse heart tissue. 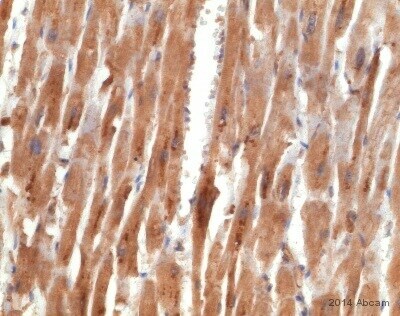 IHC-P: Mouse heart tissue. 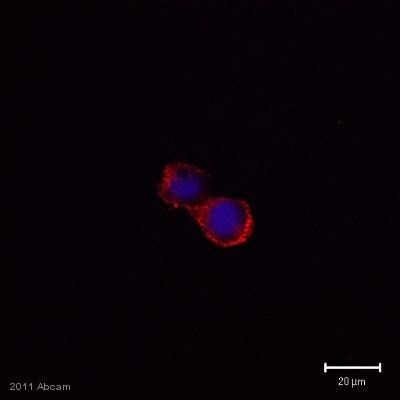 Flow cytometry: THP-1 cells. Our Abpromise guarantee covers the use of ab8021 in the following tested applications. WB Use at an assay dependent concentration. 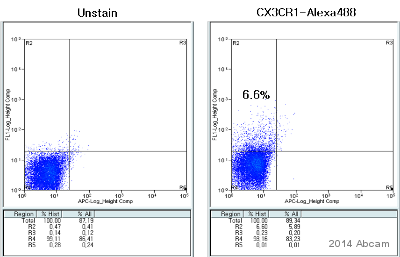 Can be blocked with CX3CR1 peptide (ab8125). 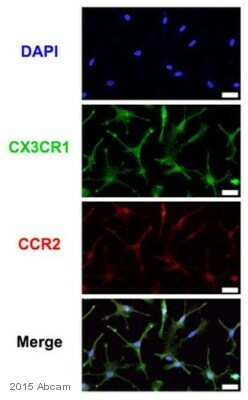 Receptor for the CX3C chemokine fractalkine and mediates both its adhesive and migratory functions. Acts as coreceptor with CD4 for HIV-1 virus envelope protein (in vitro). Isoform 2 and isoform 3 seem to be more potent HIV-1 coreceptors than isoform 1. 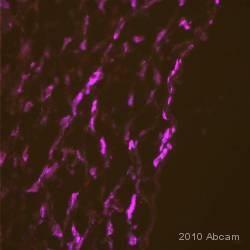 Mouse heart tissue stained for CX3CR1 using ab8021 at 2 µg/ml in immunohistochemical analysis. Lane 1 : Human spleen lysate with absence of blocking peptide. 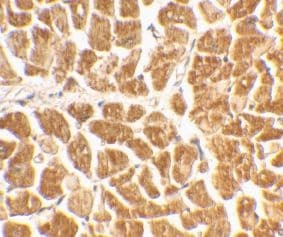 Lane 2 : Human spleen lysate with presence of blocking peptide. 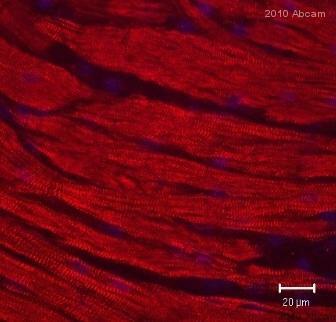 Immunohistochemical staining (paraffin embedded) of human heart tissue using anti-CX3CR1 at 2 µg/ml. 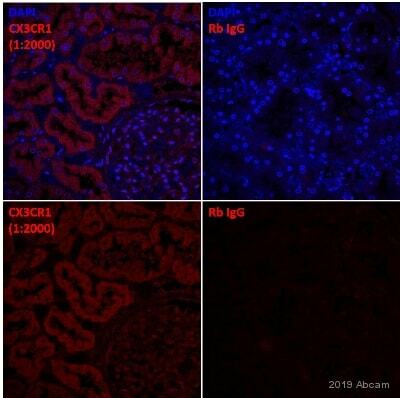 Immunofluorescence of CX3CR1 in Human Heart cells using ab8021 at 10 ug/ml. 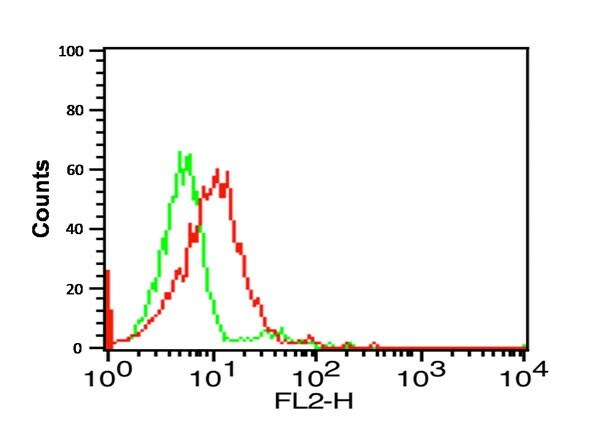 Flow cytometry analysis of THP-1 cells using CX3CR1 antibody (ab8021) at 0.1 ug/ml. 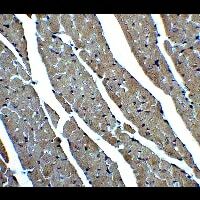 Publishing research using ab8021? Please let us know so that we can cite the reference in this datasheet.